This picture doesn’t do it justice! You have to SEE this super cool technique to appreciate it. This amazing technique look like aged metal because it IS metal! Raised letters or images embedded in the metal pick up the light, leaving everyone wondering “How did you do that!? !” In my new class, I’ll walk you through creating this amazing effect using not just letters, but also vintage skeleton keys and other shapes. Whether you use this as a book cover (as I did here), as a page in your art journal, or as a stand-alone project (such as a really cool card! ), you’ll love this class!! Contact me if you’re interested in scheduling this class. 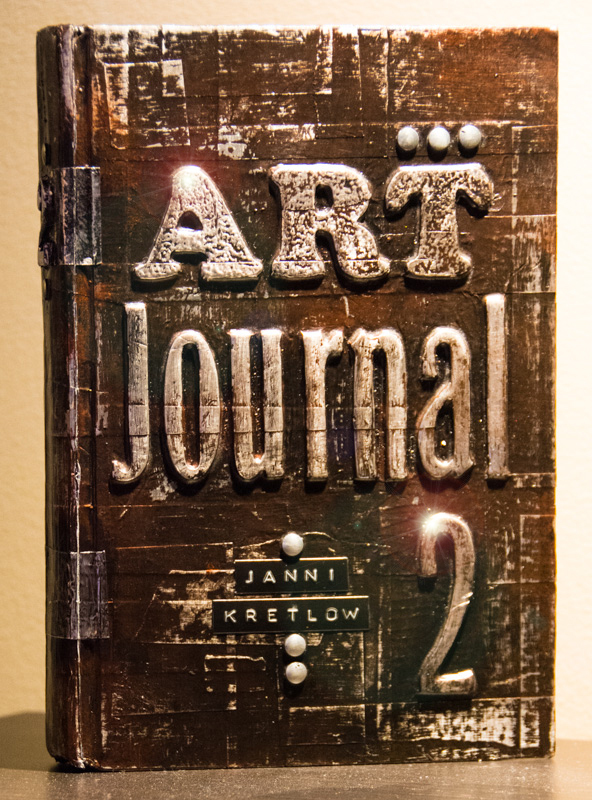 ← Melted Magic Class: Art Journaling with HEAT!